Make the giblet broth: Add 2 cups of water, 2 cups of turkey stock, onion, celery, carrot, bay leaves, peppercorns and giblets to a 2 quart saucepan and bring to boil. Reduce the heat to low, and let the stock simmer for about an hour. Strain the stock and remove the solids, saving the liquid and the chopped meat from the neck. Set aside. Put the neck and giblets in the bottom of your roasting pan let them cook with the turkey when the turkey is done taste the meat on the neck it is sweet. You will never throw them out again same with the giblets. 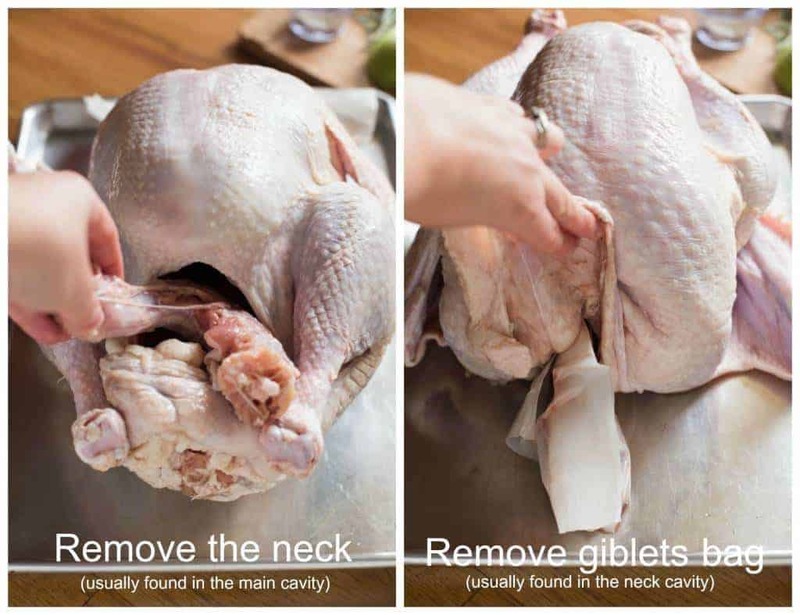 For my turkey, the neck was located in the cavity and the giblets bag was located in the neck cavity. Turkey giblets include the gizzard, heart and liver. They’re perfect for making turkey giblet broth which is the backbone to a flavourful turkey giblet gravy. To a 1-1/2 to 2 quart pan, add the neck, giblets, herbs, onion, celery, peppercorns, and broth or water. Step 3. Bring to a boil, lower heat to a simmer, cover and cook for at least 1 hour.